LANDSCAPE LIGHTING PRODUCTS is your one stop resource for all you outdoor lighting and landscape lighting fixtures, lamps, bulbs and accessories. Whether it’s LED lamps and bulbs, or halogen lamps and bulbs, you’re sure to find all the most popular and most asked for retrofit lamps and bulbs along with a huge variety of lighting fixtures. We carry top name fixtures including Best Quality Lighting, Corona, Brilliance LED, Lightcraft Outdoor Environments and Unique Lighting Systems. We also carry specialty lighting such as laser lights by Sparkle Magic and Bliss, and bistro, market string lights to make magical lighting environments for your outdoor parties. You may have questions or be in need of advice to assist you in your outside lighting project. Let us help! Outside lights are our specialty. We have years of industry experience in the selection and installation of landscape and outdoor lighting fixtures. Whether you’re a contractor, professional landscape lighting installer or a do-it-yourself homeowner wanting to add outdoor lights to beautify your yard, patio or pool area, we can help. With decades of industry experience, we’re able to provide you with the highest quality outdoor light fixtures and accessories at any budget that will help make your lighting project a success. We are here to help! LANDSCAPE LIGHTING PRODUCTS carries high quality outdoor lighting products at the best value. Whatever your outside lighting needs are. We have an extensive selection and variety of outside all weather lights at great value. We have landscape lights and fixtures in a wide variety of materials, finishes and colors as well including solid copper, brass, antique brass, stainless steel and aluminum. 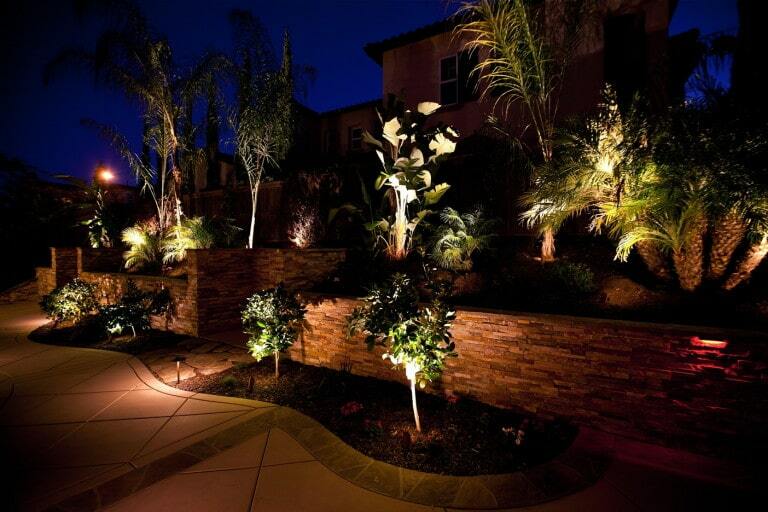 In addition we have landscape light solutions for any outdoor area including string lights, LED lights, path lights, area lights, low voltage, well lights, wall lights, masonry lights, deck lights, pendant lights, laser lights, underwater lights, rope lights, driveway lights, hanging lights, column lights, security lights, spot lights, up lights, step lights, pond lights, exterior lights, down lights, garden lights, outdoor recessed lighting, niche lights, wall sconces, patio lights, column caps, tree lighting, outdoor fixtures and more. With this extensive selection of outdoor lights we can help make your landscape lighting project a beautiful and rewarding success made with our beautiful selection quality light fixtures that will provide you, your family and friends and guests the enjoyment of the magical ambiance that spectacular outside lights will create. 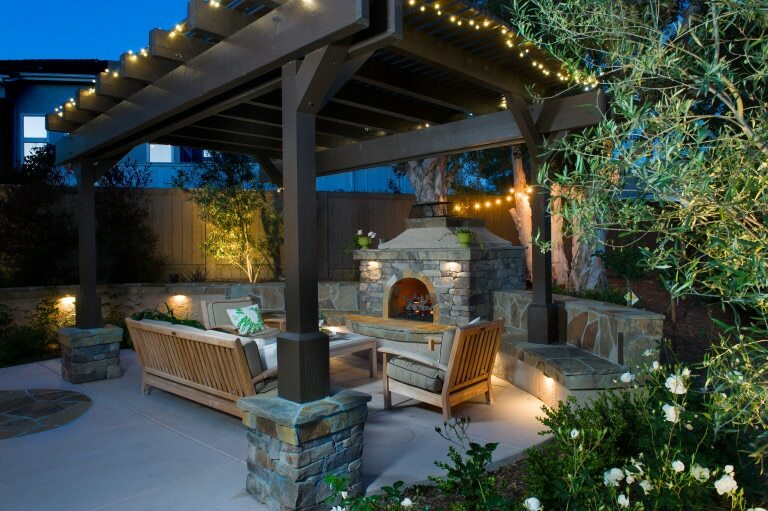 Landscape lighting enhances the beauty and serenity of your yard or garden making it the perfect evening retreat. You will also love what custom lighting does to transform the outside of your home while keeping it well-lit and safer for your family. At Landscape Lighting Products, we carry a variety of professional lines to suit all of your outdoor lighting and landscape lighting needs. From spot lights to path lights and stem lights, to underwater lighting and more, there is something for everyone to enhance their outdoor lighting experience. Our concept is simple. High quality outdoor lighting fixtures and supplies at affordable prices.